The Wound Care Center and Hyperbaric Services at Atrium Medical Center has received the distinguished Center of the Year award from Healogics Inc. Nearly 700 centers had the opportunity to qualify for the award and only seven centers received it representing different regions across the United States. 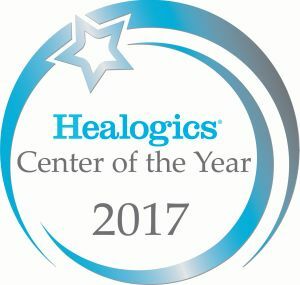 In addition to being named Center of the Year for a geographical region, Healogics identified Atrium’s wound center as top-performing Center of the Year nationwide for 2017. The Wound Care Center at Atrium exemplifies quality patient care and clinical outcomes. 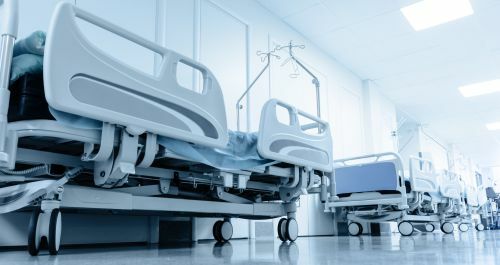 To qualify for Center of the Year, stringent quality measures must be met such as high healing outcomes, low days to heal, and excellent patient satisfaction rates. The Wound Care Center at Atrium is a member of the Healogics network of nearly 700 Wound Care Centers® and offers highly specialized wound care to patients suffering from diabetic ulcers, pressure ulcers, infections and other chronic wounds which have not healed in a reasonable amount of time. The Wound Center at Atrium provided specialized treatment to more than 900 patients in 2017, often preventing amputations and helping patients return to active lives. Advanced treatments include negative pressure wound therapy, bio-engineered skin substitutes, hyperbaric oxygen therapy, biological and biosynthetic dressings, and growth factor therapies. “We want to heal as many patients as quickly as we can, while giving them an excellent patient experience,” said Christina Skinner, program director of The Wound Care Center at Atrium. The Wound Care Center at Atrium has now received Healogics’ Center of Distinction and President’s Circle awards for two consecutive years, 2016 and 2017. Additionally in 2017, Atrium was one of 268 centers to receive the benchmark of “Robert A. Warriner III, M.D., Center of Excellence.” As a Center of Excellence, Atrium’s wound center has achieved patient satisfaction rates higher than 92 percent and a healing rate of at least 91 percent in less than 30 median days to heal, for a minimum of two consecutive years, according to Healogics. For more information, please call (513) 974-5700 or visit www.AtriumMedCenter.org/Wound. “The Wound Care Center at Atrium is now recognized as top performing in the country, and that honor exemplifies the services we offer at Atrium. Atrium Medical Center offers a wide range of nationally-recognized services at a convenient location close to home for Butler and Warren County residents,” said Rhonda Seidenschmidt, vice president of operations of Atrium.